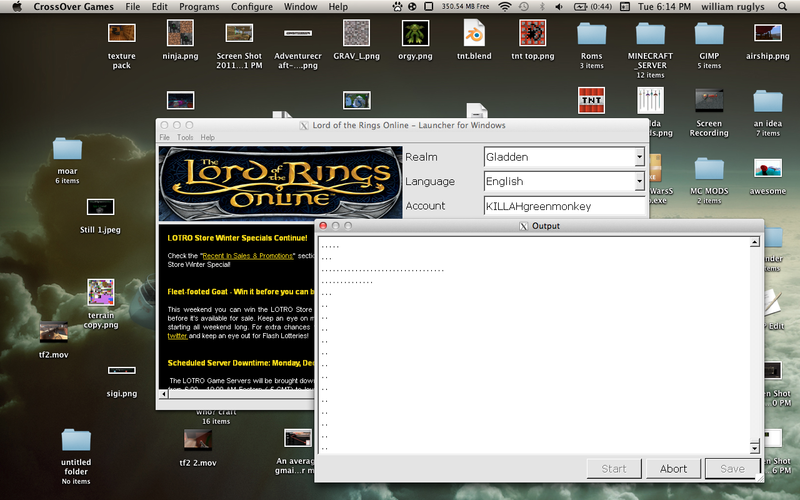 PyLotRO is a replacement launcher for the Turbine/Codemaster games Lord of the Rings Online and Dungeons & Dragons Online. These games work fine with CrossOver Games but the native launcher does not, PyLotRO allows Mac and Linux users to patch and launch these games using CrossOver Games. CrossOver Games 10.1.2 pyLotRO patching on lion (and taking a while at it).